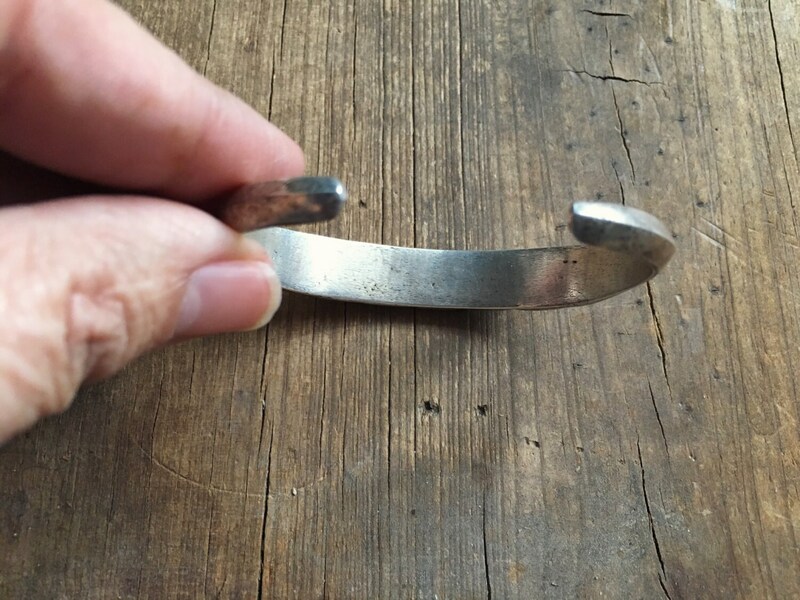 Here we have a channel inlay cuffs, circa 1960s, that is heavy and feels good on , especially if you like older pieces that exude authentic Native American Old Pawn. The cuff features two rows of diamond pattern inlay, with side divots in the silver to enhance the diamond pattern. 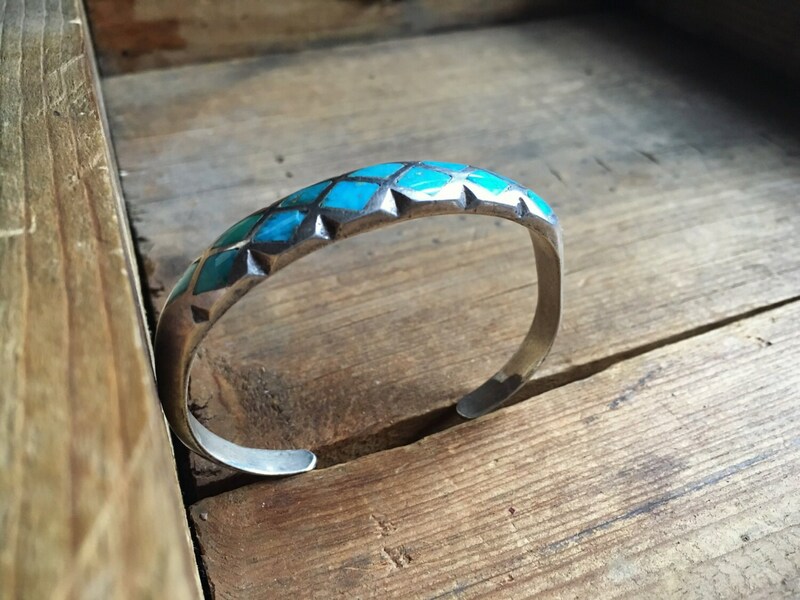 Since the bracelet carries no hallmark, we can't say for certain that it's Native American. 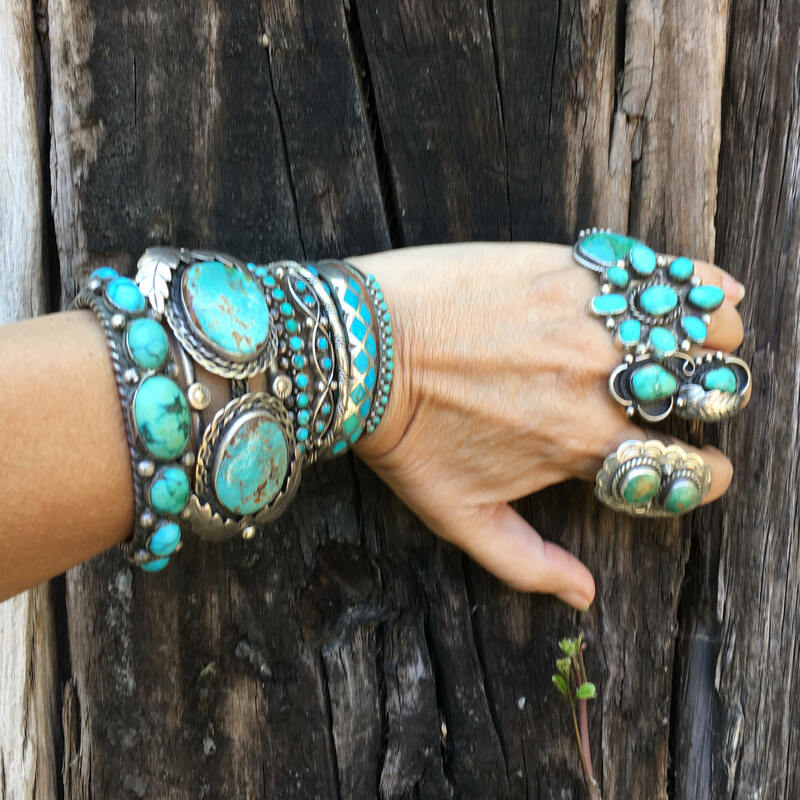 However, we believe it's Zuni. Measures approximately 5-1/4" taking a tape measure around the inside, with a gap opening of 1", so a total of 6-1/4"--perfect for a smaller to medium-small sized wrist. Width is 3/8". 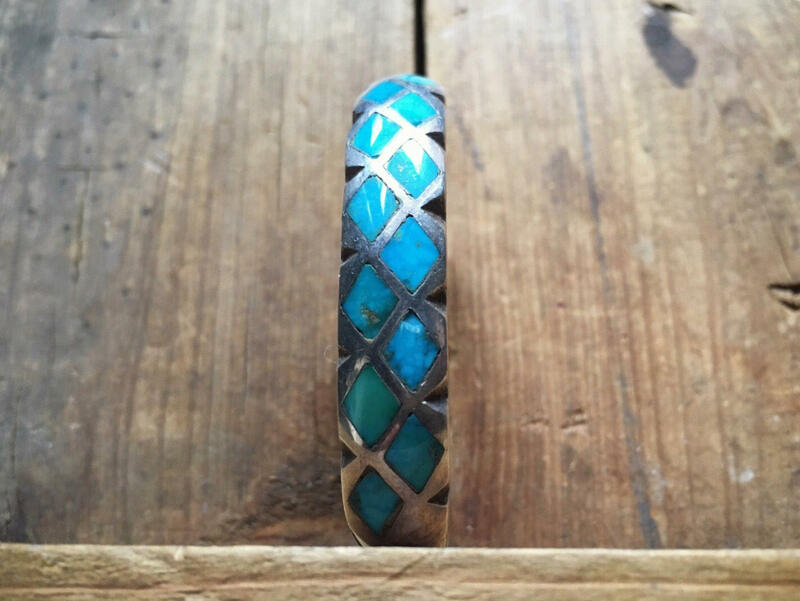 With channel inlay, you want to be very careful about squeezing or pulling the bracelet to close or open it, as doing so can cause the gemstones to dislodge and even pop out. Some small scratches on the silver; otherwise in very good vintage condition. 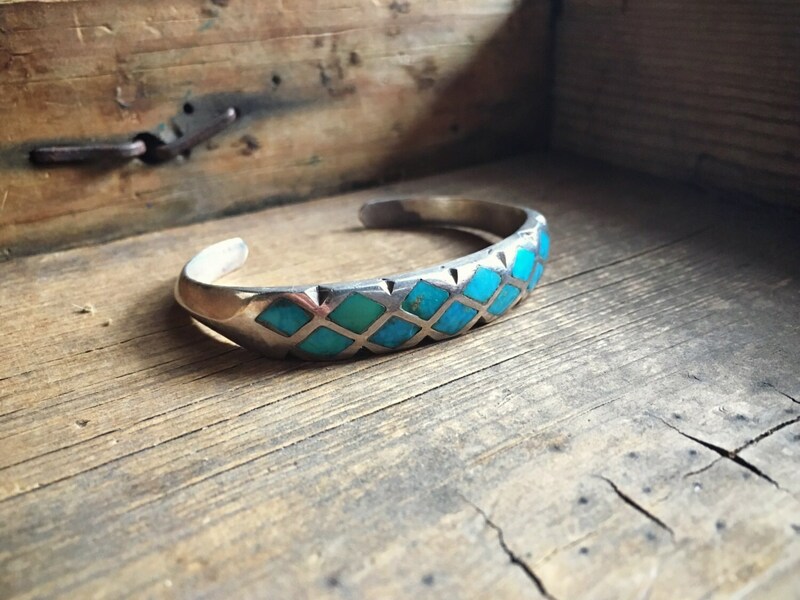 A great Old Pawn bracelet in a style immediately recognizable to the 1960s to 70s era.